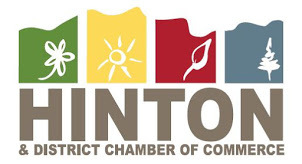 The Town of Hinton and The Hinton & District Chamber of Commerce have collaborated together to bring you a great networking opportunity. We encourage all businesses to come out and meet with our Mayor, Council and other local businesses to share ideas and concerns for our business community. Recap will be posted after the event. Don't hesitate to connect with us! If you are new to Hinton, give us a call. The Chamber has a number of networking opportunities to get with other business owners. It’s a great opportunity to become part of the community and to introduce your business to others. Is your business experiencing regualtory issues? If you are having an issue with any level of governement give us a call. There is often someone else experiencing similar issues and getting together with unified voice will provide the best result. Are you looking for training for yourself or your staff? By joining the Chamber, you will receive notice of any training or networking opportunities. Call us or email and we will follow up with you.